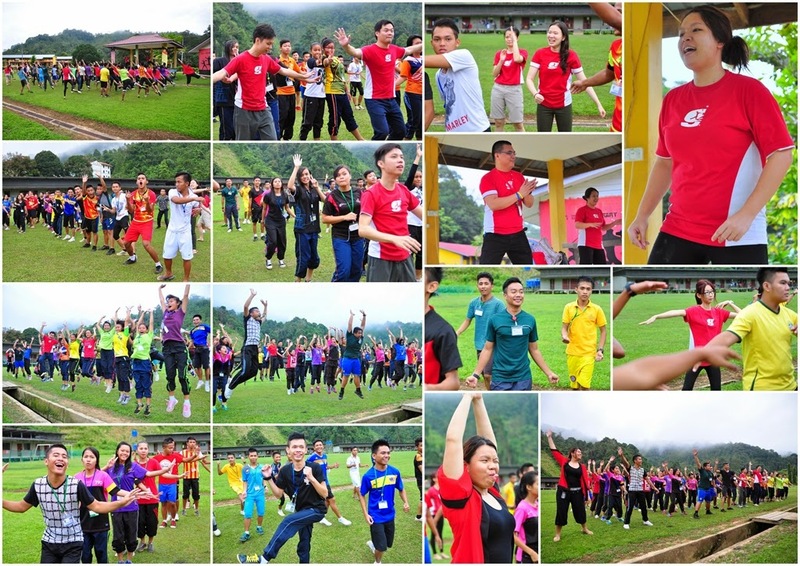 The many lessons were activity-based, engaging & FUN!!! The lessons shown here were on teamwork & communication. Why do this? Aren't you an English teacher? KNOW YOUR PLACE! Back in 2010 & 2011, I had a team of at least 6 English teachers. We had the human capital to run our own programmes like English Week 2010 & 2011 to nurture a culture of English at school. Now that we have only 3 English teachers at school, I had to focus our efforts on purely academic activities in order to maintain the grades required to not get grilled during annual evaluations. During the following years without events/programmes to develop an English culture at school, I watched the students use less & less English at school. At the same time, I noticed that, after secondary school, some of my students would get lost in the social issues their community is mired in. I decided that building the character of my students to prepare them for a harsh reality trumps building a culture of English for the school. Some of the things I did was personally running motivation programmes & mentorship programmes. The lessons on adapting to challenges, supporting each other & making a difference. It was not enough. After years of hearing the same message from the same mouth, I was becoming like the annoying parent. So, I invited speakers relevant to my students to give motivation talks at my school like this stewardess. I also vetted & invited volunteers to run short-term camp-like programmes for my students. In 2014, we had #inspireKATIBAS & Aram Katibas!. 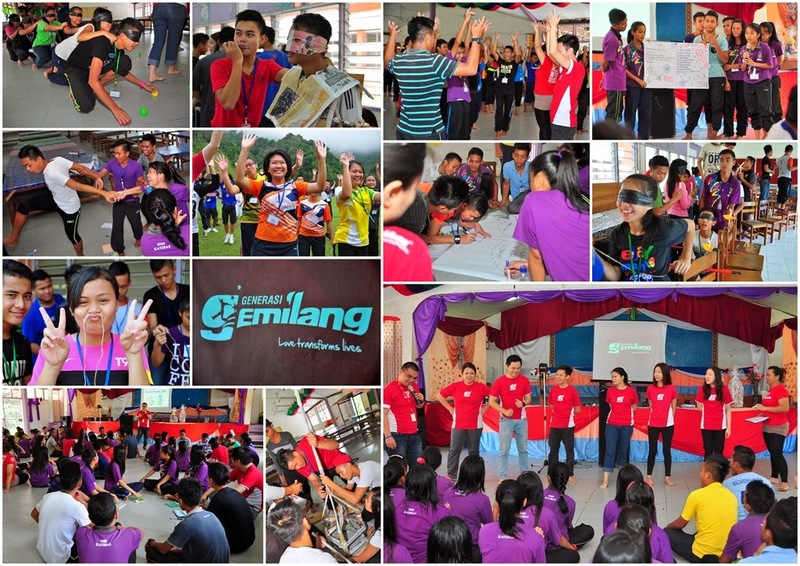 In 2013, we had Program Jalinan Kasih, missionKatibas & Jalinan Kasih Antarabangsa. ALL of the volunteers came AT THEIR OWN EXPENSE. The school DID NOT give them any form of compensation. This is totally commendable & should be encouraged. The keys to success in life are similar. It doesn't take a genius to figure it out but your students might not be motivated to do it. It is important for your students to hear the same message come from different sources because they might not listen to you because they can't relate to you. But, someone you invite to speak to them might & when that happens, you can see the visible changes. Early mornings out in the mist & fresh air! Lessons on self-worth & trust. This was one of 2 camp opportunities which fell on my lap (credits to Derek, Sarah & Amanda). Since 2013, I've asked hundreds of people & I'd get rejected outright sometimes. Rejection is good because I knew I should move on. Most times, I'd go on a wild goose chase when people said that they'll consider it or ask around but would not commit. Despite asking everyone I knew or met for the past 3 years to come to my school, I've only ever gotten 5 positive answers acted upon (credits to Sarah, Jia Yiing, Kay, Adriena & Noelle). That's like a 0.5% success rate. Lol. I didn't mind. Because that was more than what was needed. They came with open minds & a desire to connect with my students. They made a difference. If you want to volunteer at my school, contact me! If you're a teacher & you believe that something you want to do will make a difference, don't be afraid to ask or push or sell your idea. IF PEOPLE WERE WILLING TO PAY OUT OF THEIR OWN POCKETS TO TAKE FLIGHTS & 2 BOATS TO A SCHOOL IN THE MIDDLE OF NOWHERE, THEY WILL BE WILLING TO GO TO YOUR SCHOOL TOO!!!! I desperately want my students to succeed in life. Even more desperately, I want them to one day have the ability to band together & be pillars of change in their rural community. I want my students to be the ones who will uplift their people from the chains of illiteracy & poverty. I want them to develop their beautiful land sustainably & usher in an age of action & wisdom. That is my dream for them. I will do whatever is within my limited abilities to make that happen. I'm very thankful for all the people who lent me a hand along the way. They are previous jewels I keep close to my heart. 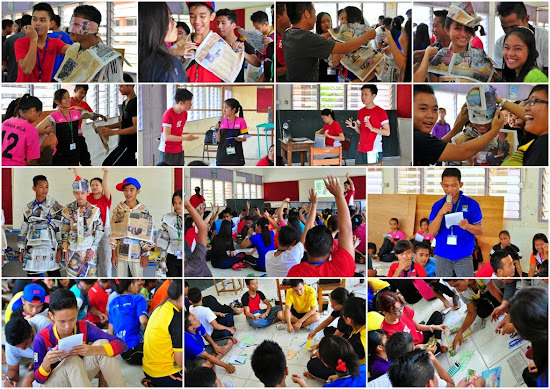 Thank you once again to Generasi Gemilang, HuayPhing, Derek, HuiPing, WaiPeng, Kwok, Sarah, Joy & Charlene! You guys made a difference! This programme was also featured in Page 3 of the Generasi Gemilang Newsletter.